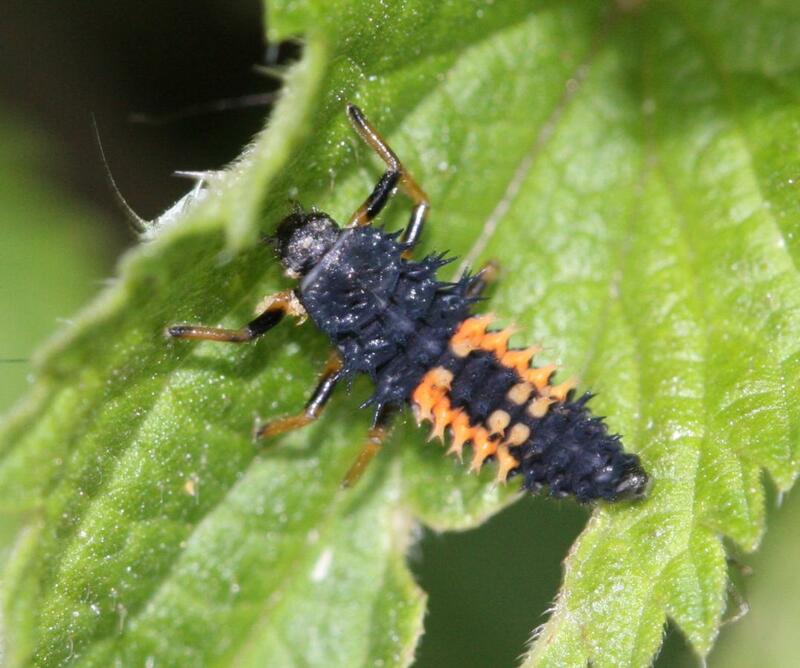 This is an alien species which first appeared in the UK only in 2004 but has now spread across much of southern England and into the Midlands. 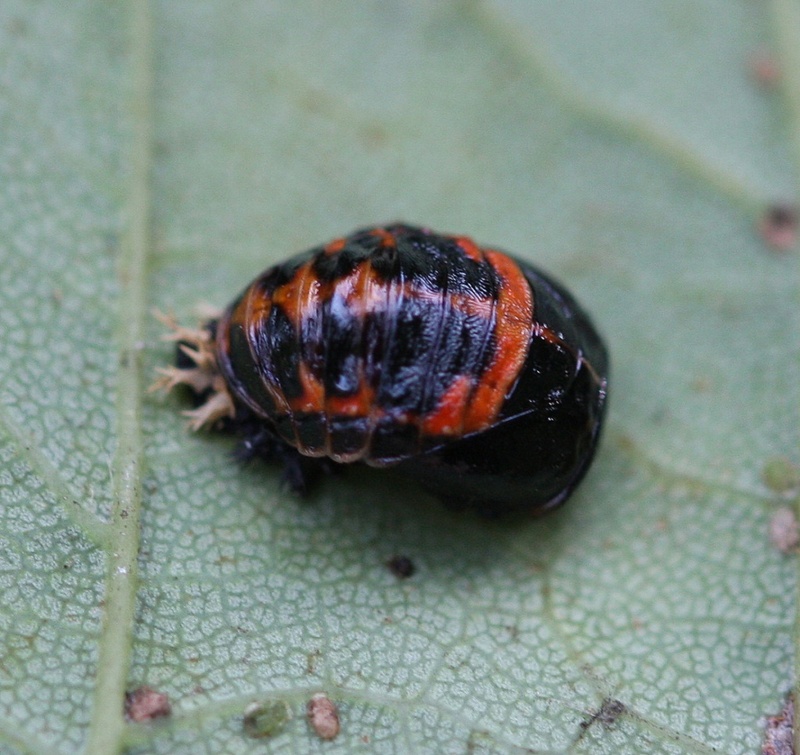 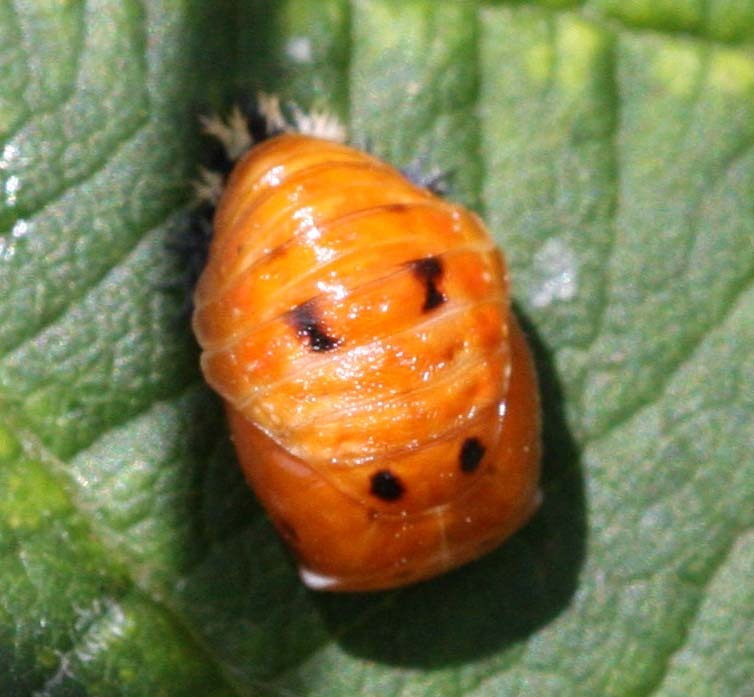 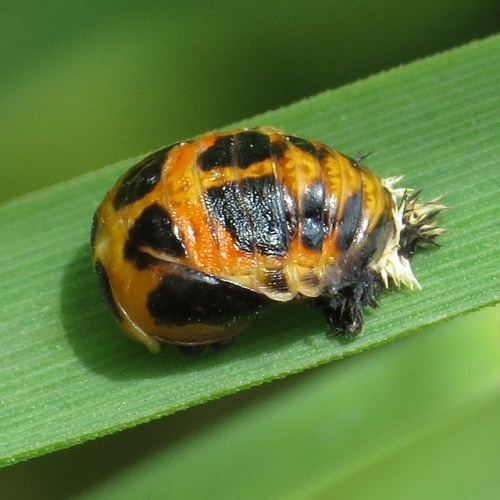 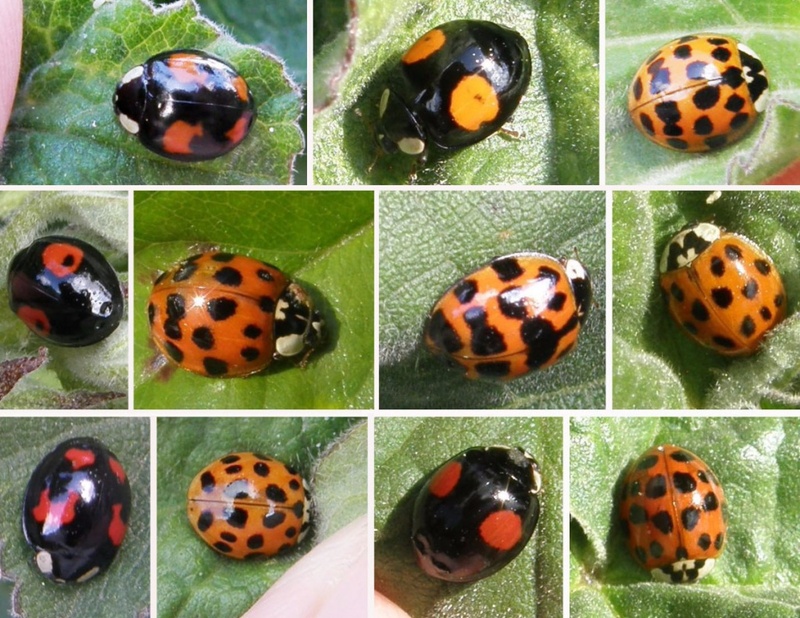 There are numerous colour and pattern forms but it is generally a larger species than most of our native ladybirds, around 8 mm long, with a dome-shape. 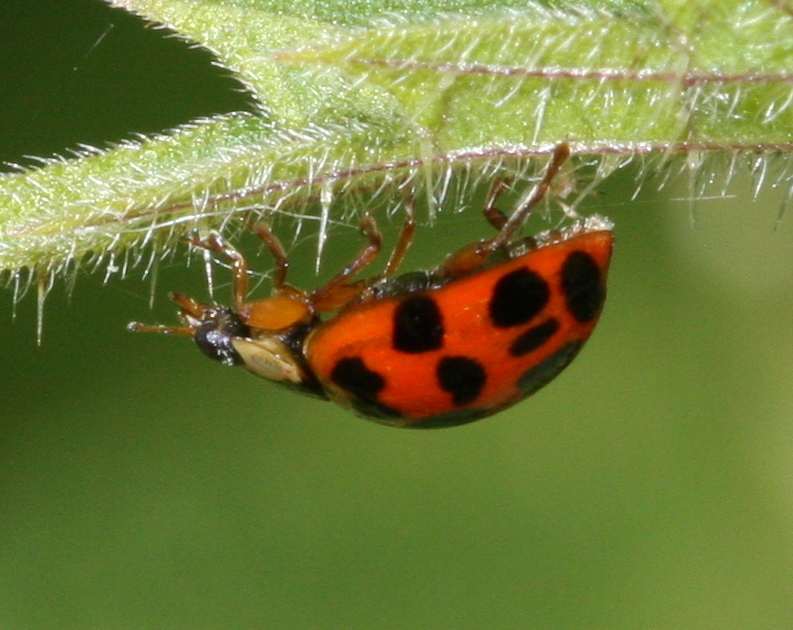 There are three main forms of the Harlequin - succinea, spectabilis and conspicua. However, each of these three forms show large amounts of variation within them. 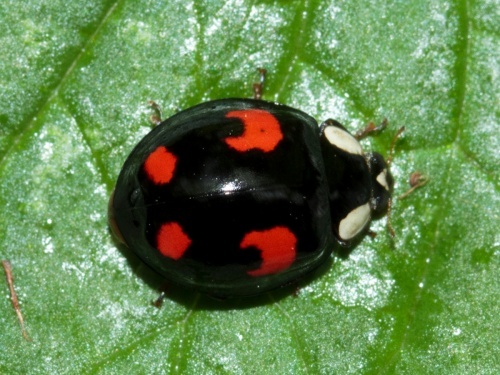 The Harlequin has the ability to live in diverse habitats. 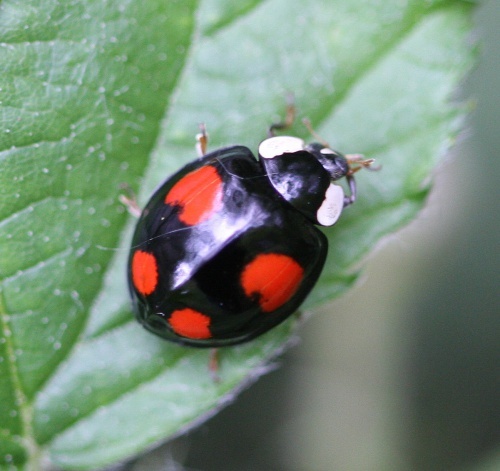 It is most commonly found on deciduous trees, such as Willow, Sycamore and Maple, and on low growing plants such as Nettles. 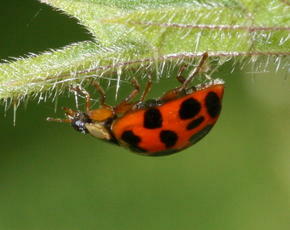 It can disperse easily, hence its rapid spread over Britain. 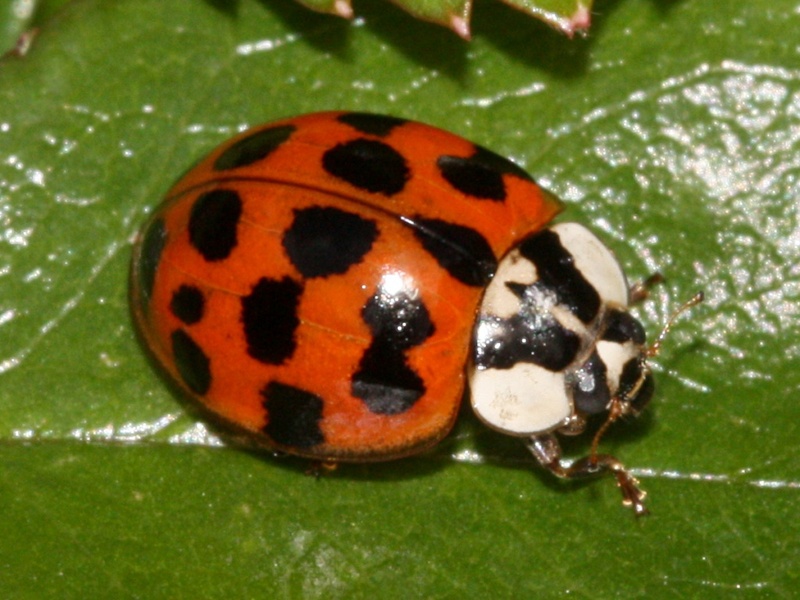 April to October. 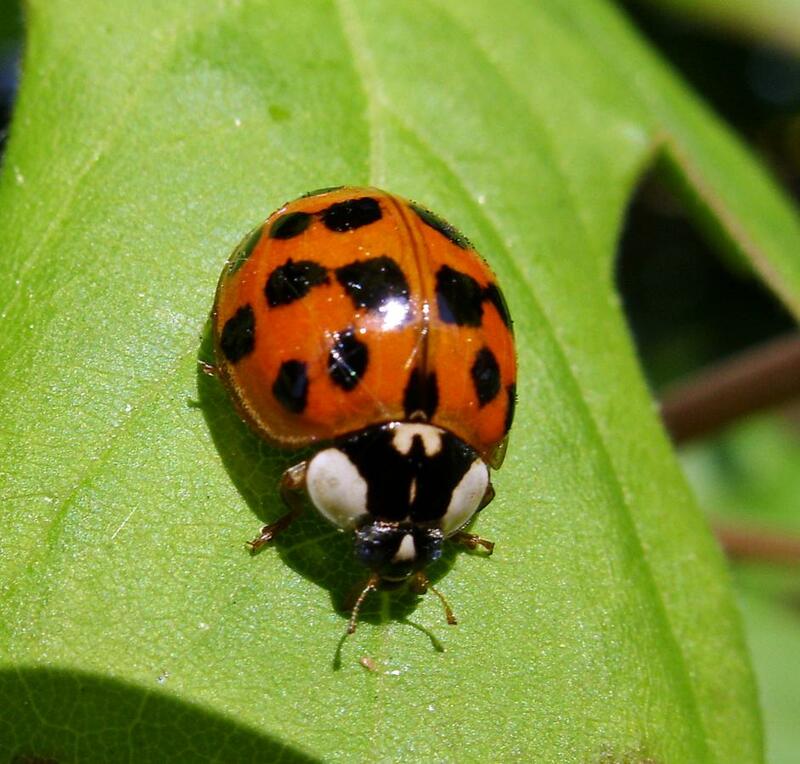 It hibernates through the winter and may be seen active at this time if the weather warms. 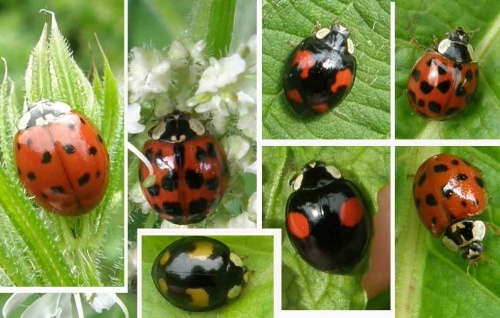 The Harlequin has a broad diet but predates other ladybirds and has the potential to wipe out some of our native species. 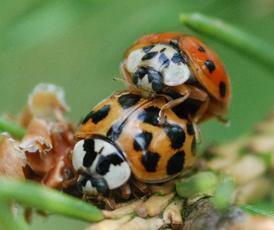 Its spread is being closely monitored (see link below). 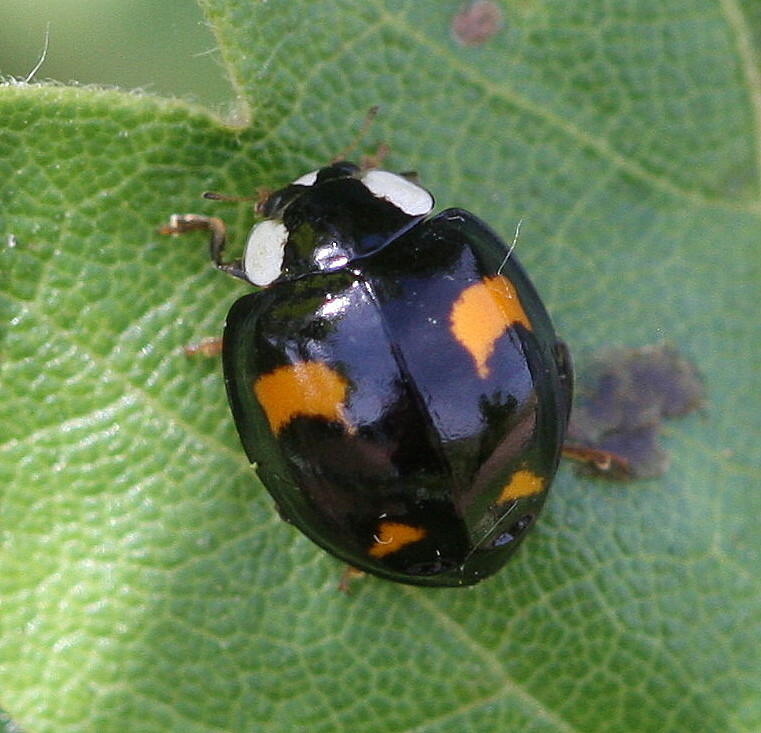 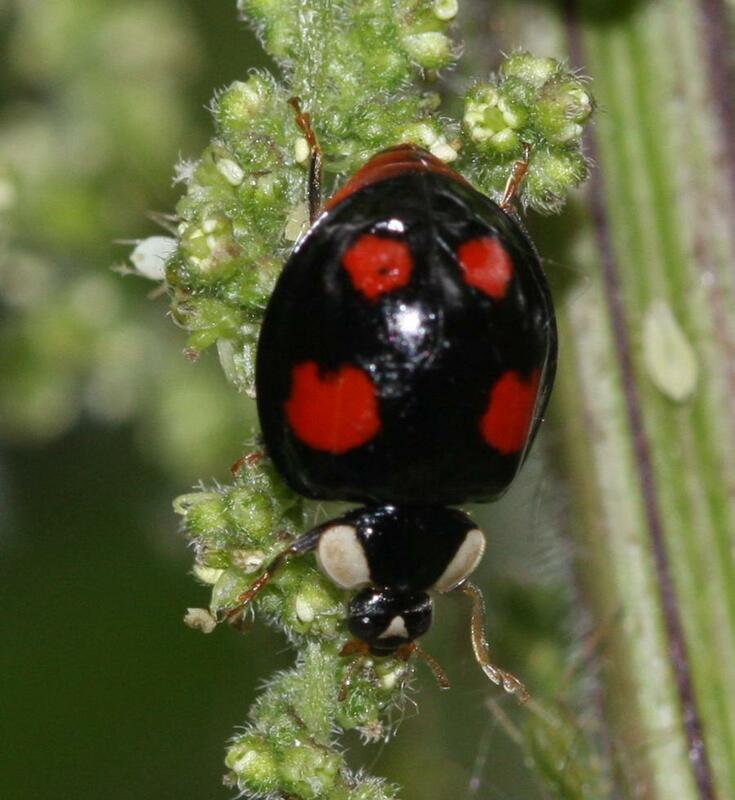 Harlequin Ladybirds feed most commonly on aphids, but have a wide food range, also feeding on scale insects, adelgids, the eggs and larvae of butterflies and moths, many other small insects, including other ladybirds, pollen, nectar, and sugary fluids, including honeydew and the juice from ripe fruits. Adults can begin to lay eggs after 5 days and a single female can lay over a thousand eggs. 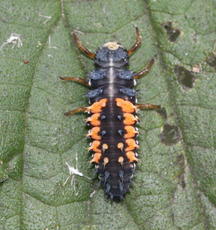 This species is now well established and widespread in much of Britain. This species is now quite common in Leicestershire and Rutland. 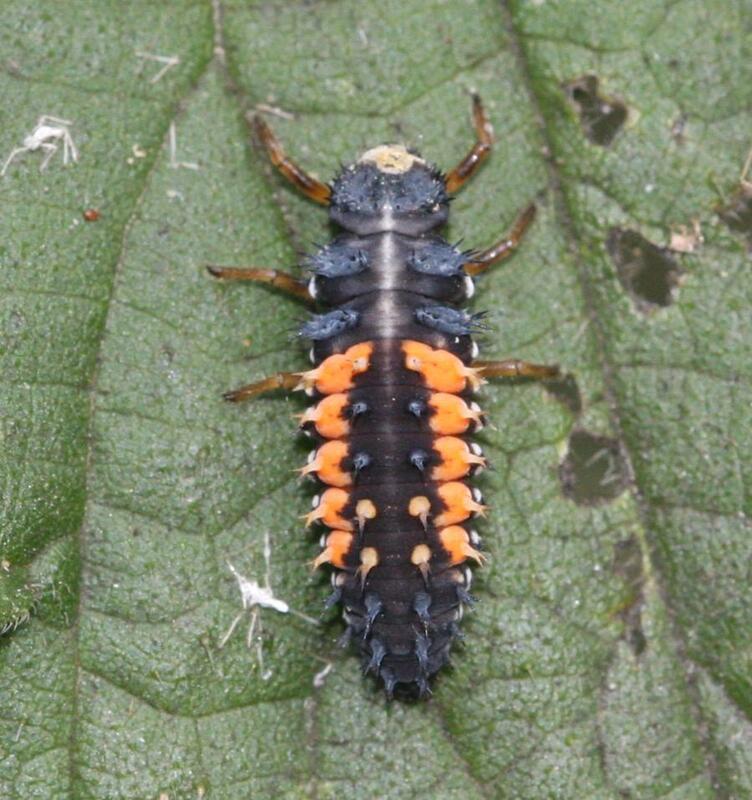 There were a total of 366 VC55 records for this species up to March 2015. 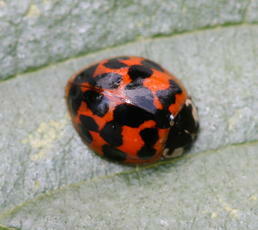 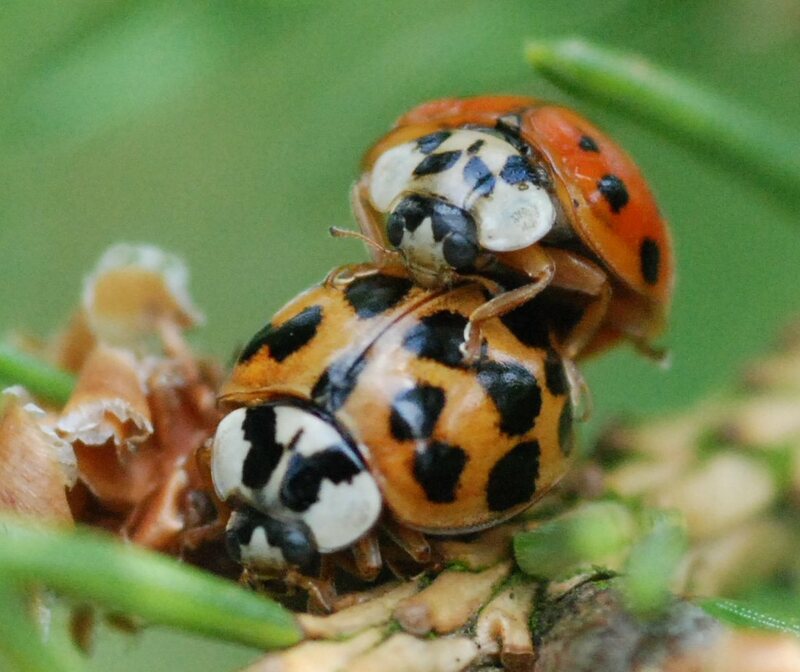 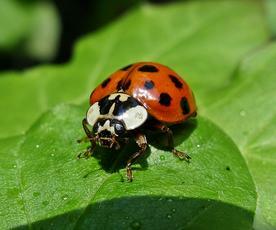 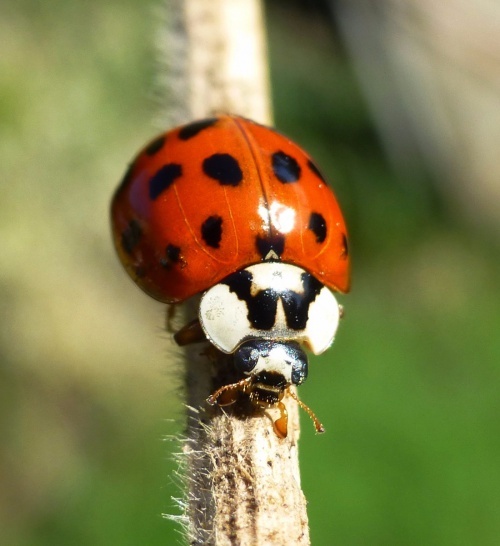 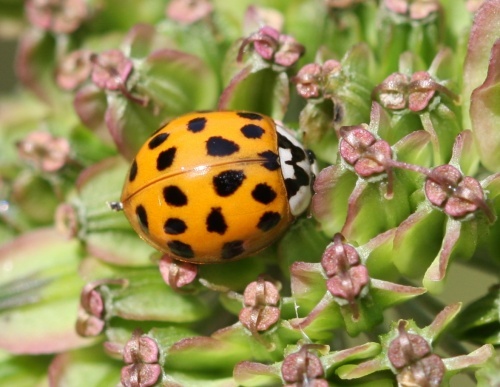 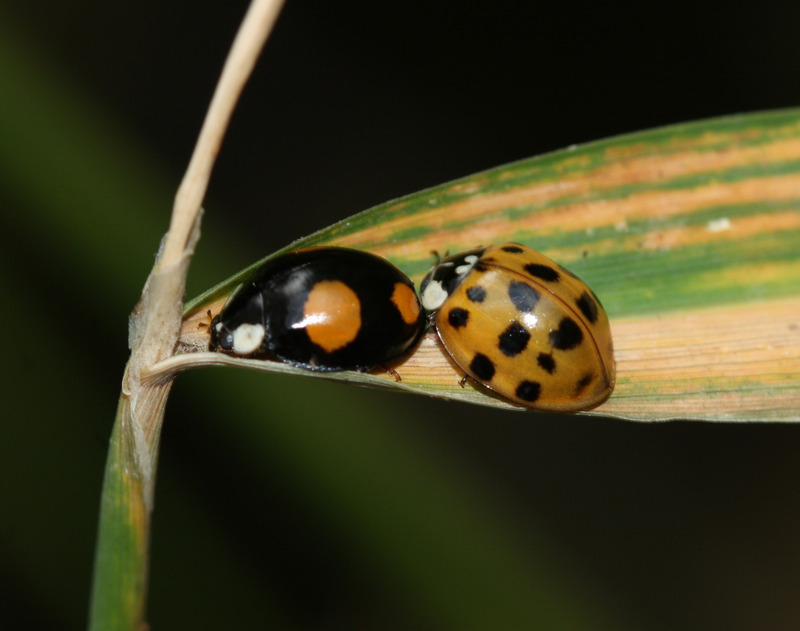 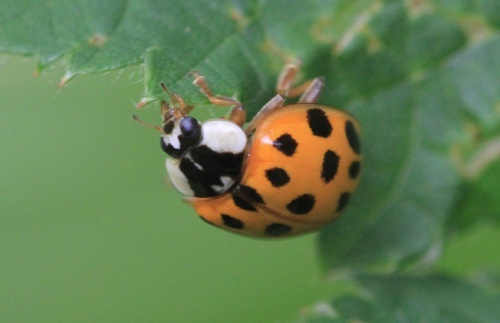 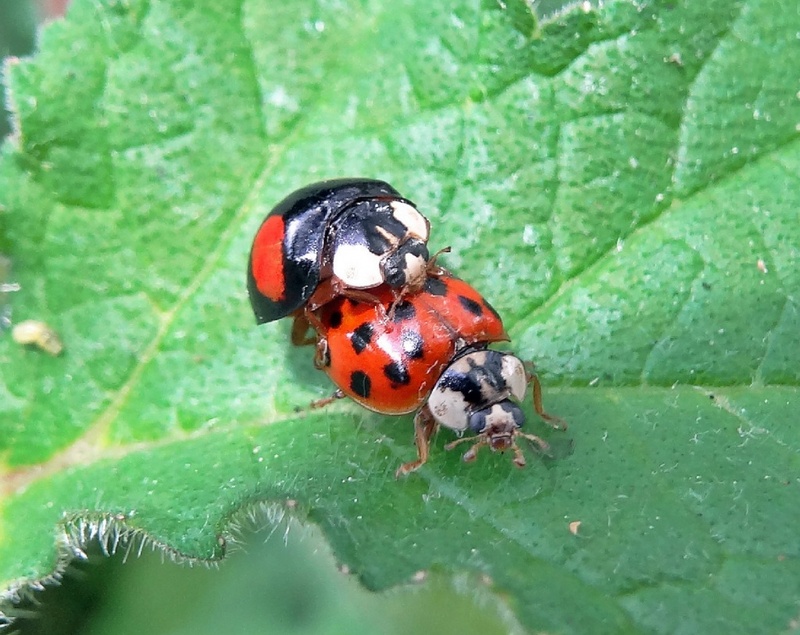 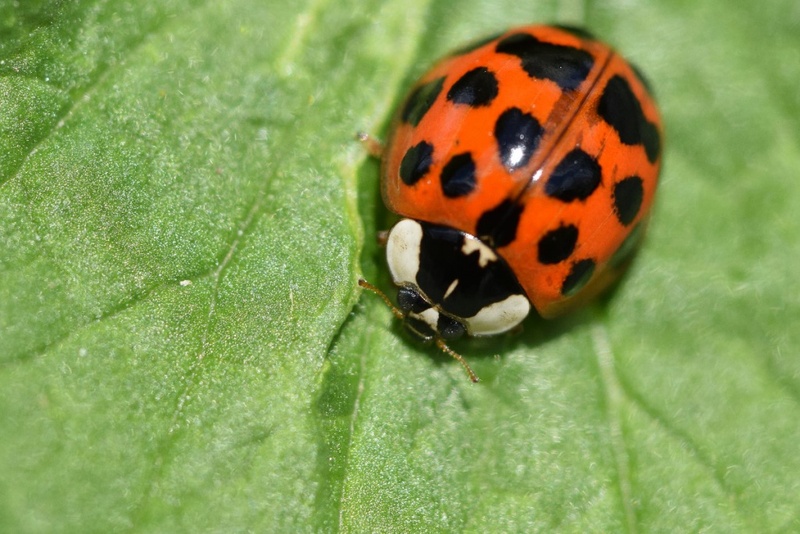 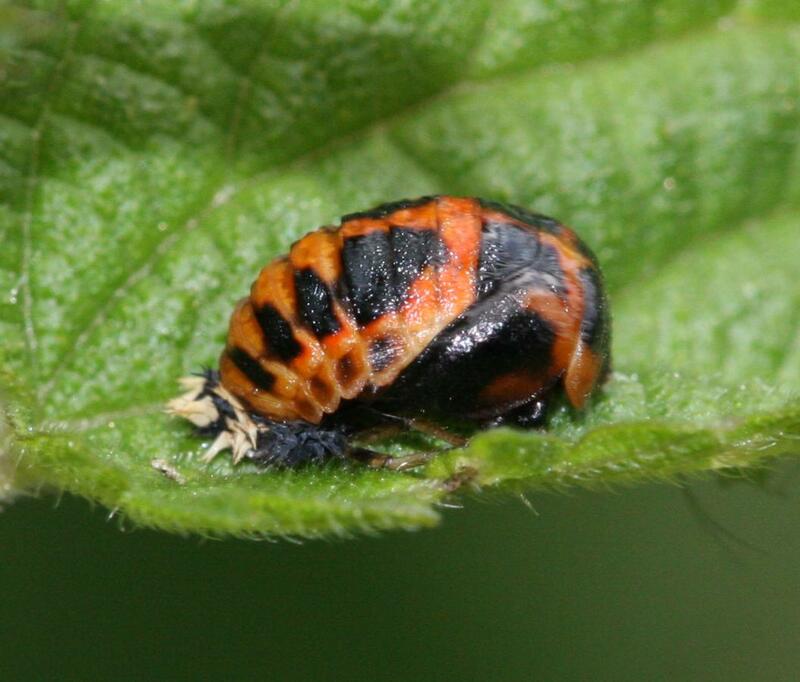 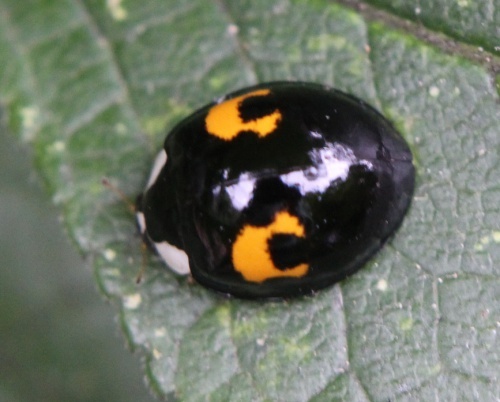 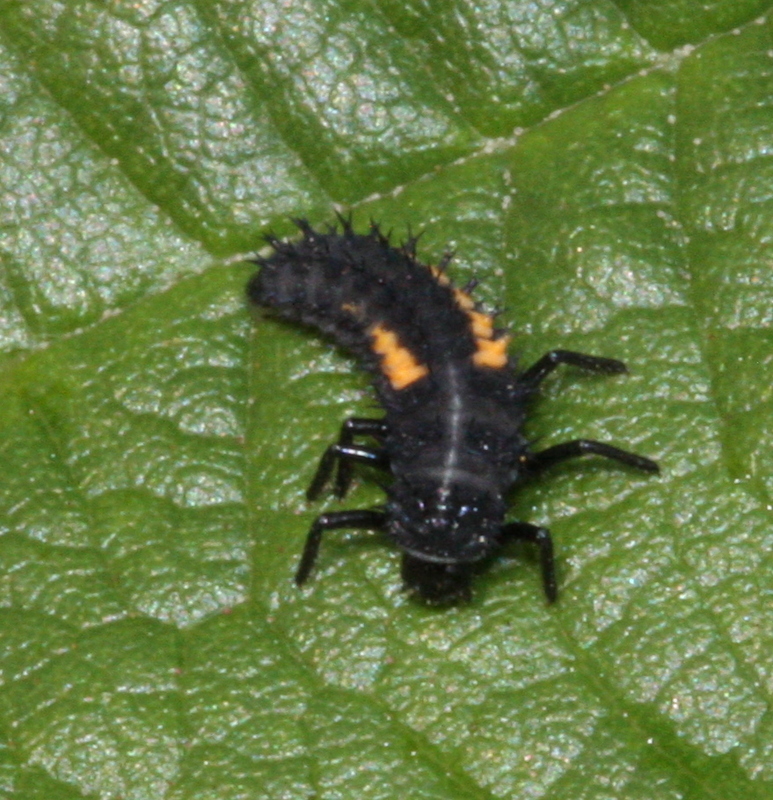 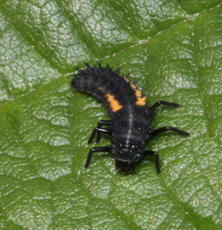 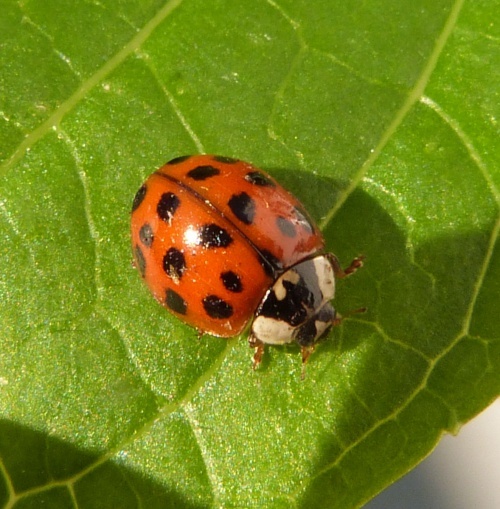 The spread of this species is being closely monitored by the Harlequin Ladybird Survey.